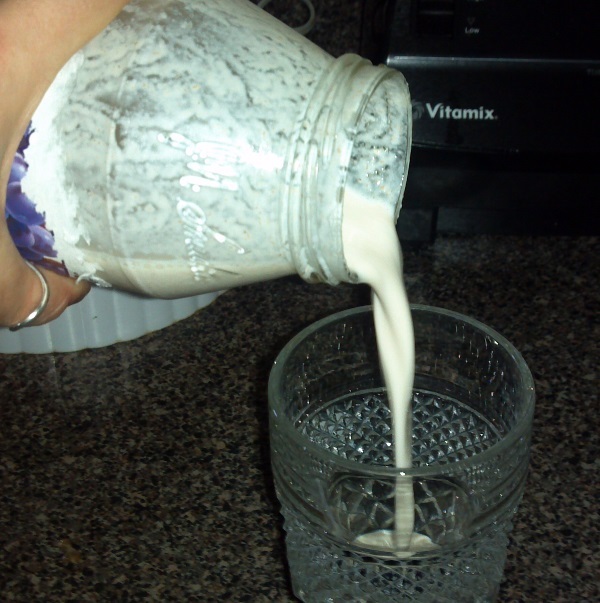 Homemade nut milk hack: Use an empty store-bought jar to keep your almond milk in. this jar came with cranberry juice in it when I initially bought it at the store. Everyone loves almond milk, and you would think that it would contain only two ingredients: almonds and water — which my recipe has! Well, compare those ingredients with the ones you get at the store, and you will see a plethora of chemical-based/preservative ingredients,. 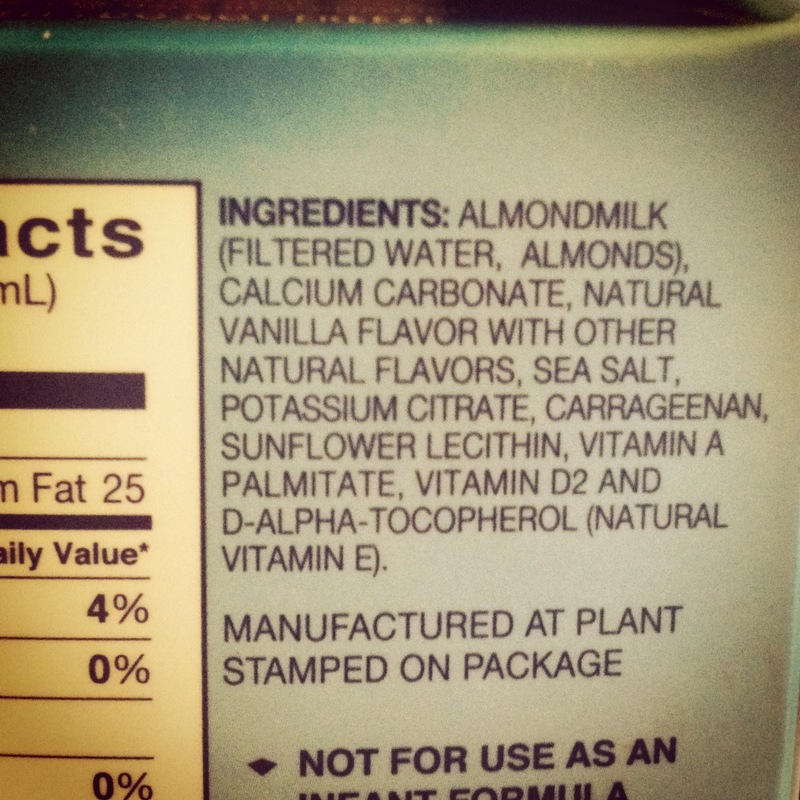 Ingredients such as carrageenan, potassium citrate, calcium carbonate and D-Alpha-Tocopherol, not to mention anywhere from 12 to 15 ingredients for something that actually only takes two. So, now that you have seen the unnatural ingredients in your store-bought “natural” almond milk, let’s go make real almond milk that is cruelty and puss free! The night before, put your almonds in bowl with four cups of the water, and let them soak overnight. 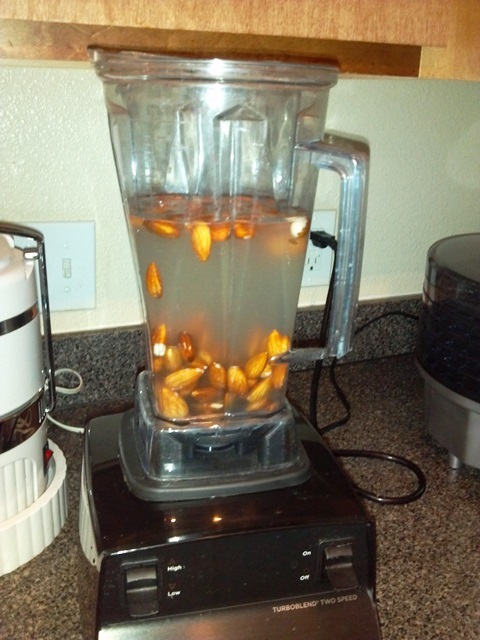 The next day, pour out the water and rinse out your almonds. 2) Take a cheese cloth, nut milk bag, any large piece of straining cloth or a fine mesh strainer. 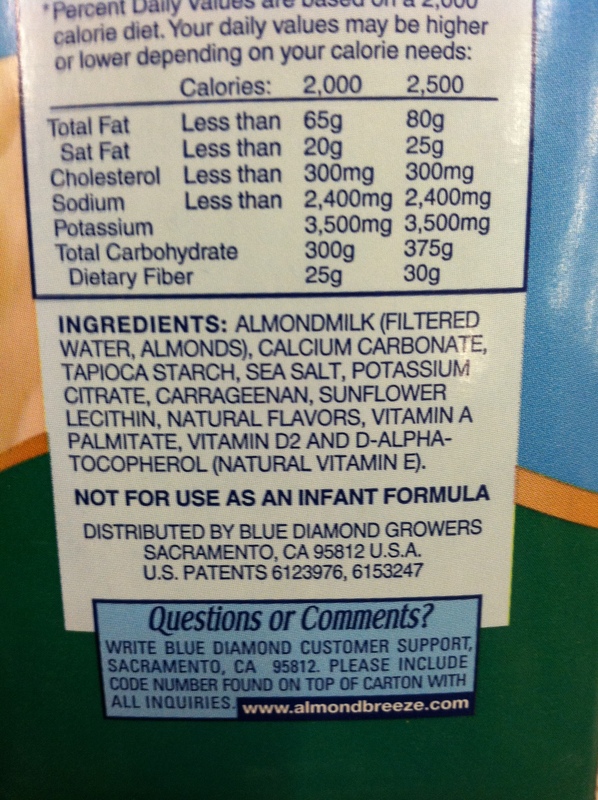 Pour the milk through the strainer or bag, separating the almond pulp from the rest of the milk. This makes the milk smooth, clean and without any texture. 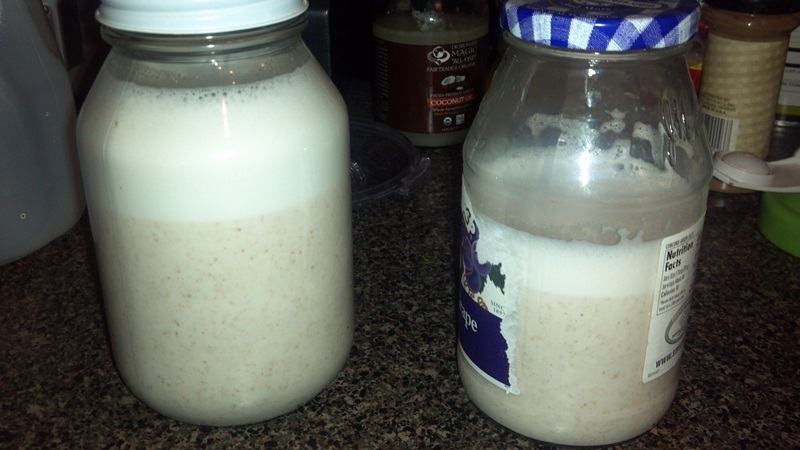 I personally don’t mind the texture, so I skip the straining part, pour the milk into my jars and I’m done! 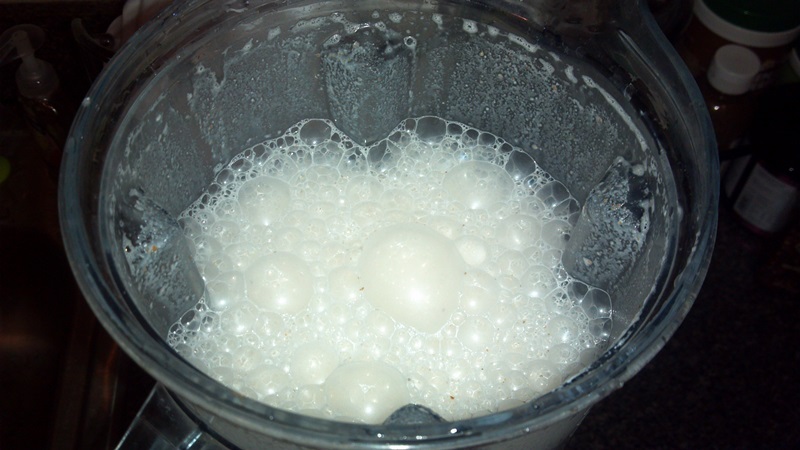 Separation is natural, as you can see below, and the milk will separate even if it is strained. No problem at all, just shake up the jars well and you will have lovely milk again! 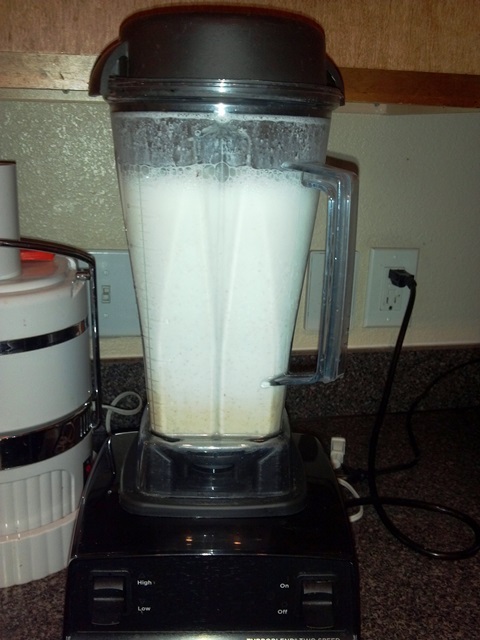 Another AMAZING variation is to blend your almonds with 4 cups coconut water instead of regular water. This is by far my favorite way, as the cocout water in itself is sweet, so you don’t have to add any additional flavorings or sweetners. Enjoy! Let’s go make a frozen berry smoothie with our almond milk now!